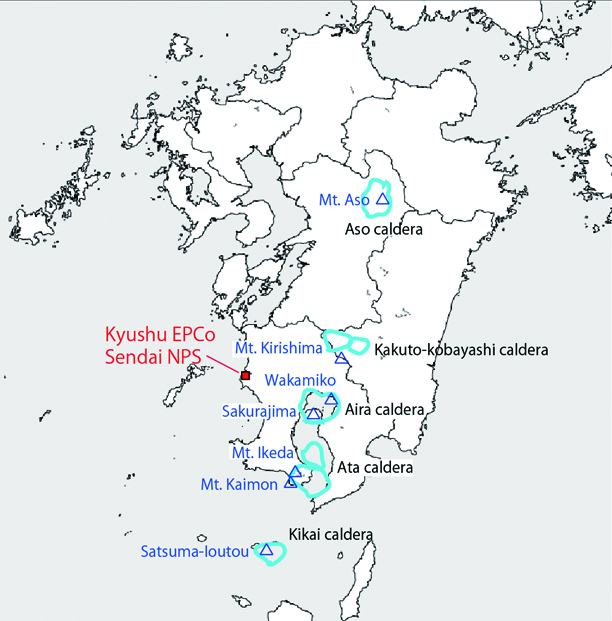 The Nuclear Regulation Authority (NRA) implemented a “Call for Scientific and Technical Comments for the Draft Report on the Application for Permission to Alter Installed Kyushu Electric Power Company (Kyushu EPCo) Sendai Nuclear Power Station Units 1 and 2 Power Generating Nuclear Reactors” from July 17 to August 15, 2014. More than 17,000 public comments were submitted, but the citizens’ opinions were ignored in the NRA’s decision to evaluate the Sendai reactors as passing the new safety requirements. This was an important call for public opinions in the moves to prevent the restart of the Sendai Nuclear Power Station, and CNIC also submitted comments. Here we summarize the main comments submitted by CNIC. Under the former nuclear power administration system in Japan, the Nuclear and Industrial Safety Agency (NISA) existed under the Ministry of Economy, Trade and Industry. NISA was responsible for screening nuclear reactor construction and alteration permit applications and had the power to approve such applications. At the same time the Advisory Committee on Reactor Safeguards (ACRS) of the former Nuclear Safety Commission (NSC) also carried out double-check screenings on applications. However, this has not been carried out in the current inquiry even though the ARCS still exists under the NRA. Until now, when verifying the validity of the analytical materials submitted by power companies, the Japan Nuclear Energy Safety Organization (JNES) also carried out its own analysis as a part of the screening process. 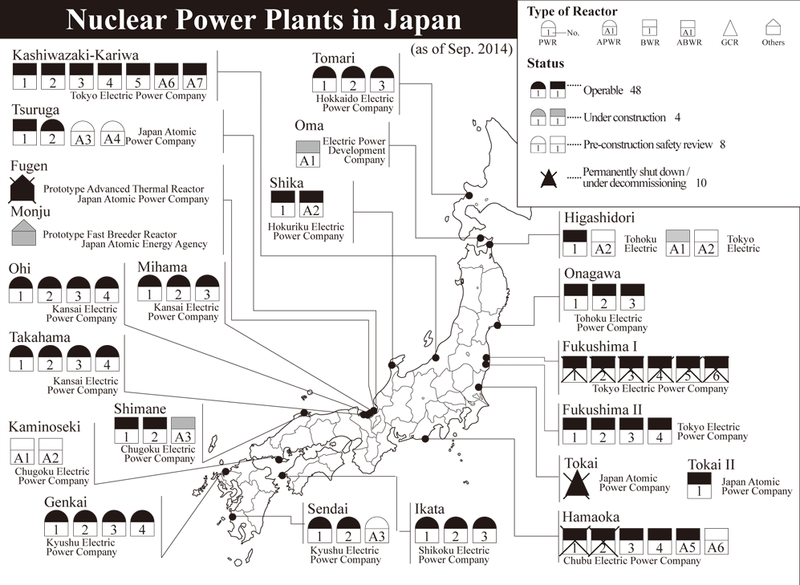 However, this has been limited to a partial analysis in the current screening “because we are validating (some of the materials) by a separate analysis” (April 3, NRA Chairperson Shunichi Tanaka in reply to a question in the House of Representatives special committee on the study of nuclear power issues). This deficiency in the screening system is an extremely serious issue. The NRA should have crosschecks carried out by both organizations. In addition, the “guarantee of peaceful use” of nuclear materials, as in the past, has been confirmed only through a formalistic check that assumes the materials are for use in commercial power generation and that there is no change in the policies of storage and reprocessing of spent nuclear fuel. Japan’s nuclear materials, however, especially the amounts of plutonium in storage, have aroused strong international concern. Since the NRA is carrying out screening for the first time, we think that it should indicate a direction toward reform that would result in the implementation of a more meaningful screening process. As well as the above, there are also numerous statements in the report which simply accept the viewpoint of the applicant (the power company), and with regard to human-induced accidents (so-called ‘terror’ incidents) there are many instances where insufficient consideration is notable. We feel that these matters should be given more substantive deliberation. On the premise that all nuclear power businesses position PRA as a part of their risk management programs, the same Recommendations suggests several procedural reforms for quality improvement, but we can see no evidence that these have been referred to in the drafting of the report. Thus both experience of the implementation of and screening for PRA are shallow, and knowhow concerning implementation and screening are insufficient. In addition, the NRA takes single equipment failure as the premise, as in the past, assuming only a concomitant loss of power, but this is inadequate. We think that a probabilistic calculation that fully incorporates the simultaneous failure of multiple pieces of equipment (common cause failures) should be required. The applicant altered the reference seismic motion from 540 cm/s2 to 620 cm/s2 in the screening panel meeting held on March 5, 2014. This alteration was said to have been “evaluated by the NRA member responsible as ‘Kyushu EPCo has a high level of awareness’” (Mainichi Shinbun, July 16, 2014), but it was also reported in the Yomiuri Shinbun of March 14, 2014 that “Kyushu EPCo said that ‘If we oppose everything, the restart will be delayed’ (top official) … and regarding the hike in the reference seismic motion, (the official) said that ‘in a sense, some parts were raised by a horrifying amount.” This alteration thus appears to have been the result of a profit-and-loss calculation on the part of the applicant, and is neither scientific nor meaningful from the viewpoint of constructing a culture of safety.This is exactly the same as the “attitude of attempting to seek out the minimum values that will fulfil the new standards” (by NRA) that was criticized in the “Current Assessment of the State of Ohi Units 3 and 4” in July 2013. A Cumulative volume-time diagram1, from which the frequency of eruptions can be deduced, can be drawn up with a certain degree of confidence if eruptions are repeated frequently and are observed, but when only extremely poor observational records are available, the method is not reliable. The applicant prepared an average diagram for the five volcanoes that have shown Ultra Plinian2 eruptions in the Quaternary Era (the period from roughly 2,600,000 years ago to today) claiming that the eruption occurrence risk was low, but this is exceedingly unscientific and should not be adopted as evidence in favor of a restart. The applicant has also set up countermeasures against the potential accumulation of volcanic ash from eruptions of Sakurajima, but this not set up in a way that matches with forecasts of the timing of eruptions. At the same time, the ability to predict the timing of eruptions is a premise for Ultra Plinian eruptions, for which countermeasures are very difficult to establish. It is contradictory to accept that eruption forecasts are difficult to make with regard to cases where countermeasures can be taken and that it is possible to deal with situations using forecasts in cases where countermeasures are not possible. We believe Ultra Plinian eruptions should also be treated as unforeseeable. Additionally, since it is also conceivable that magma could accumulate rapidly over a period of around ten years, a plan should be submitted stipulating that when the stage is reached where monitoring shows the applicant should begin to take countermeasures (GPS expansion 5cm/year), the nuclear reactors should be stopped and the process to remove nuclear fuel set in motion. The evacuation plan was one issue that was not considered in the current screening, and since the NRA has already prepared a guideline on countermeasures for nuclear disasters, it is irresponsible that there should be no screening to test for compliance with the guideline. The applicant claims that “the possibility of the occurrence of a steam explosion is exceedingly small,” and the NRA has judged that this claim is “reasonable.” However, the occurrence of an explosion involves a large number of factors, such as the proportion and uniformity of contaminants. If the conditions for an explosion exist, then there is the potential for an explosion to occur quite easily, and therefore it should be a requirement that the possible occurrence of steam explosions be taken into account and countermeasures be taken against them. The applicant has cited a management review as part of quality assurance, but the idea that safety measures should not prioritize economic efficiency over safety is one of the important lessons of the Fukushima Daiichi Nuclear Power Station accident. We believe it is necessary to devise a process whereby the conflict between safety measures and management issues can be resolved. Further, a large number of other deficiencies are seen in various parts of the report, including worker’s radiation exposure at the time of accidents, measures for groundwater issues, the reliability of measuring instruments, the problem of extreme aging of facilities, and so on. Following the end of the period for public comments, having received approval for the construction plan and changes in the safety regulations, the procedures call for a pre-operational inspection of the installations and improvements that have actually been implemented. The approval of the governor of Kagoshima Prefecture, where the Sendai nuclear plant is located, and the mayor of Satsuma Sendai City, as well as the assemblies of both the prefecture and city, are also required. Finally, calls for comments by administrative government agencies are of two types, one which is based on the Administrative Procedure Act and one where the agency implements the call at its own discretion. The call for comments described in this article is of the latter type. In the future, it will be necessary to maintain vigilance with regard to whether or not public comments are appropriately called for in the case of new standard compliance screenings for other nuclear power plants. 1. A chronological chart of a volcano’s cumulative discharge showing cumulative discharged material on the Y-axis and time on the X-axis. 2. A catastrophic eruption in which underground magma rises to the surface in a single burst.